BEATesports has teamed up with Coolermaster to gift a couple of their fans with some amazing gaming PC parts! 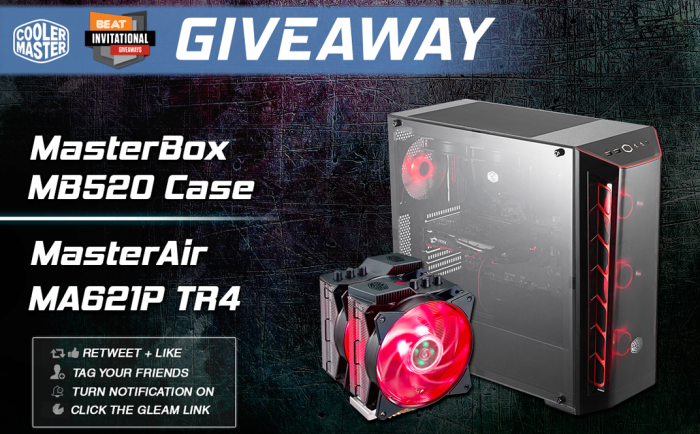 To enter in this Cooler Master MasterBox and MasterAir Giveaway grab your free entries by following few simple steps listed down below! The front and side panel offers a clear view of the front fans and system configuration, while the panel behind the motherboard is patterned tempered glass to hide the open side of the PSU. Winners will be contacted by email and have to reply back within a specified period to claim the prize.